Back again for another Monday of paper fun. 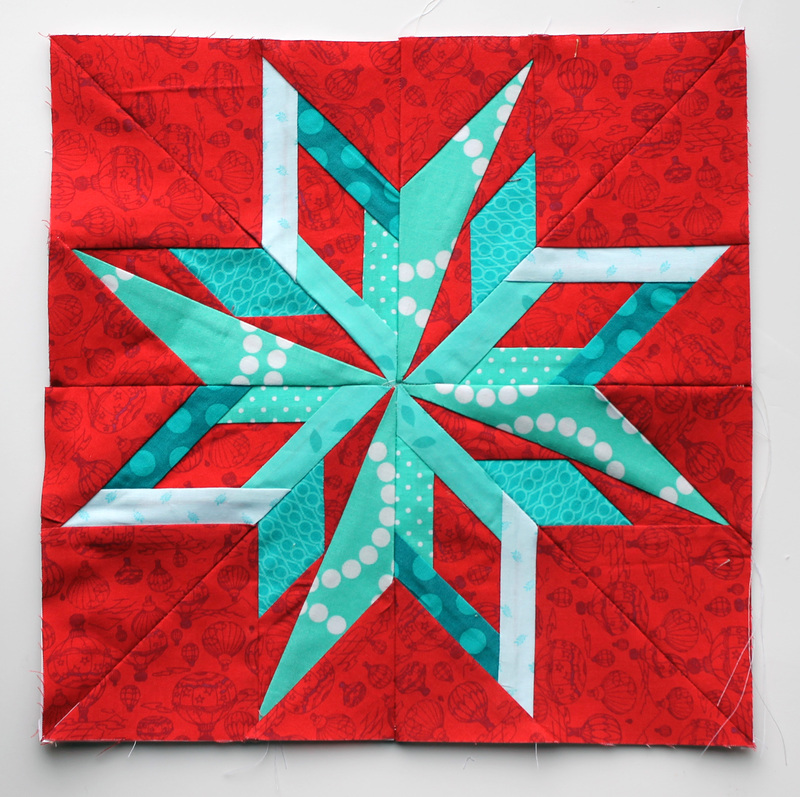 I worked again this week from 50 Fabulous Paper Piecing Stars but shook it up a bit. In the front of the book the author outlines how to make the 50 patterns in the book go a little further, by using two different patterns to make one block. Here is the results of my first experiment. This star uses one half of the Utah star and one half of the Nebraska star, to make a fabulous new star using just 52 pieces to make. 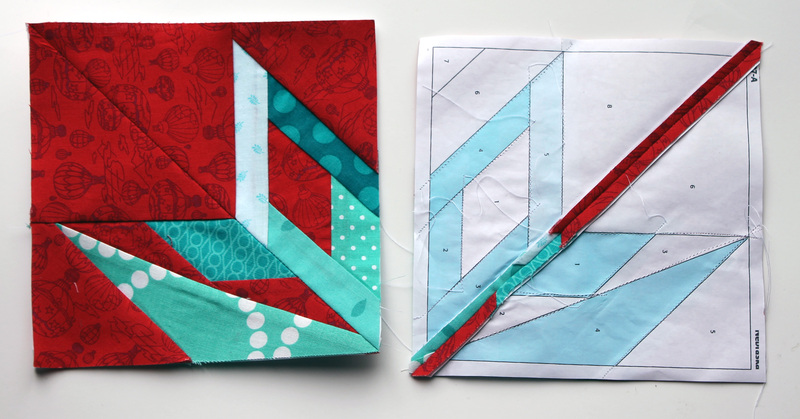 I did go less scrappy this time – keeping the attention on the pattern and not the individual block pieces. I am still not sure if these pointy stars will fit in with the compass stars I have already made but I am having such fun making them all. So see you next week for the next installment. « Colours of this week are purple & aqua!